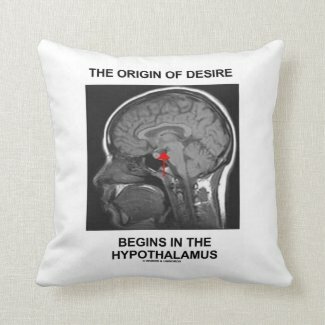 If you have ever desired an object or a person, you'll enjoy any of these tongue-in-cheek brain anatomy gifts featuring the biological truism "The Origin Of Desire Begins In The Hypothalamus". 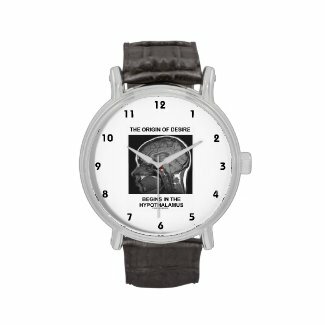 Includes an outline scan of the head and brain, along with a pointer to the hypothalamus, the organ that controls desire. 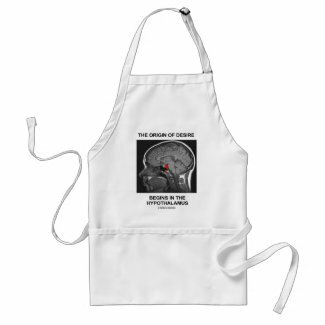 Showcase your realistic geek sense of humor about exactly where the origin of desire comes from with any of these timeless anatomical attitude gifts! 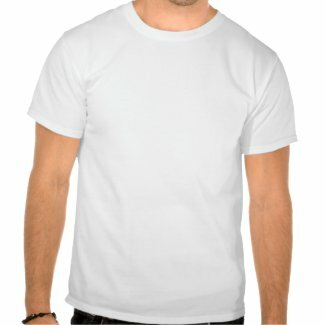 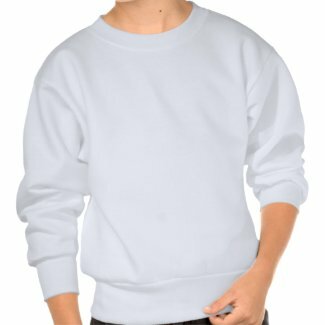 Perfect gag gift for Valentine's Day and beyond!